When should you think about changing tyres on your classic car. It’s a question we get regularly asked. Even if your cherished classic only does a few hundred miles a year, you should keep an eye on tyre condition, as they all degrade over time. The tread might well be deep, but does that mean that they are safe to drive on? Possibly not. 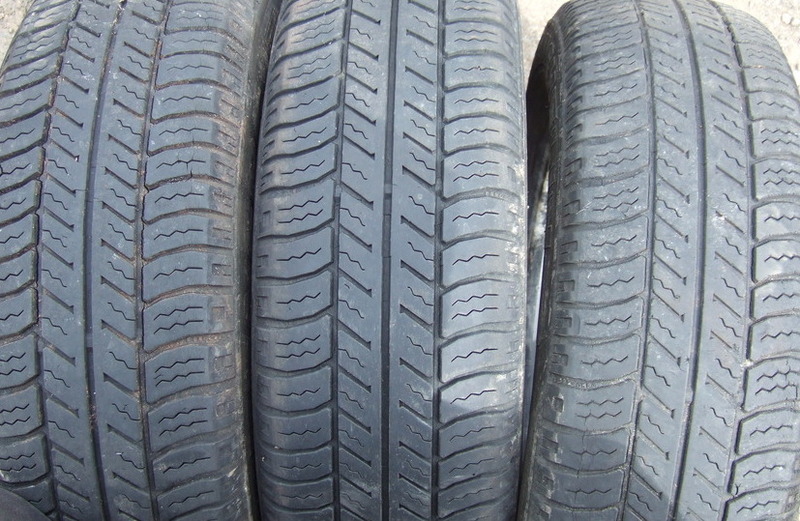 Take a look at these tyres which were removed from a vehicle that surprisingly had recently passed an MOT. At first sight they look to be fine, but a closer inspection shows a very different story. This car had been sat for some time in a dry garage and the lack of movement has caused stress cracking where the car had been resting. The rubber is significantly aged which has lead to numerous cracks and and tears as the rubber has gone brittle. 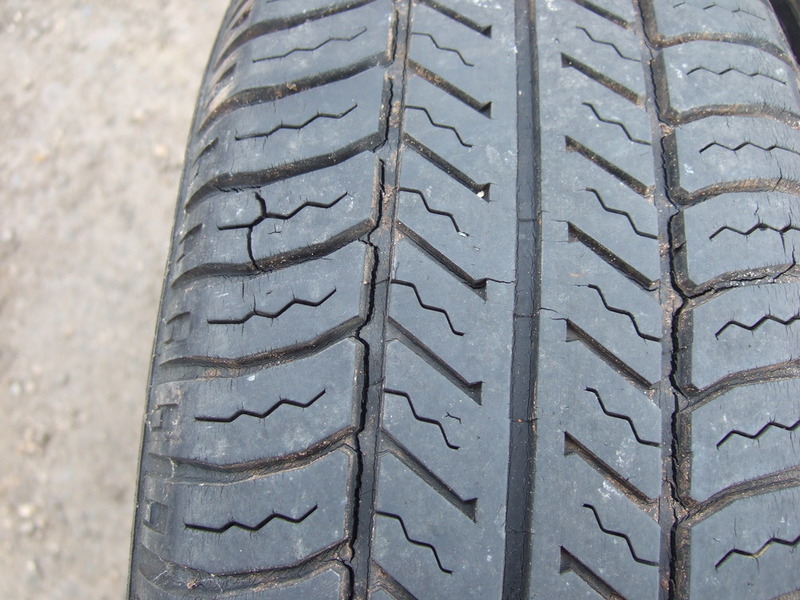 Cracking can be extensive and there will be a very real danger that the tread layer will physically separate from the carcass. 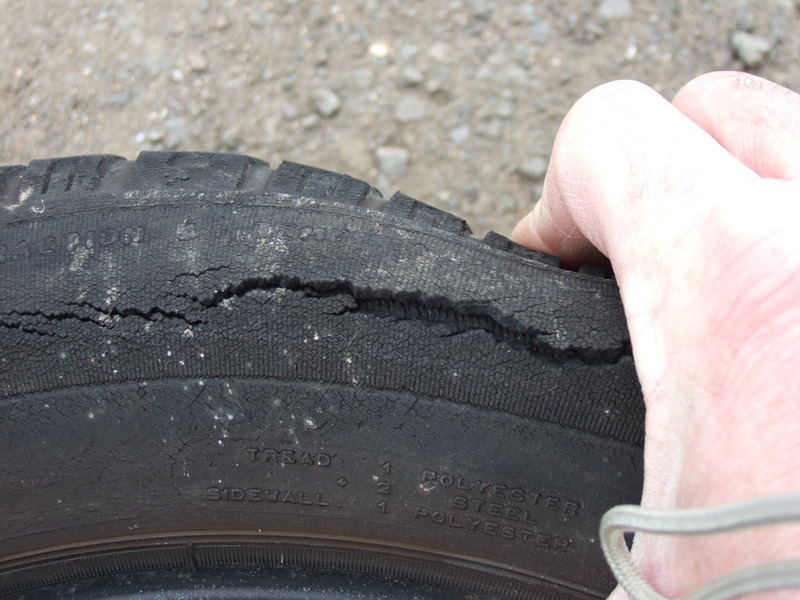 If tyres like this are subjected to any serious brake test, then the results could be catastrophic. 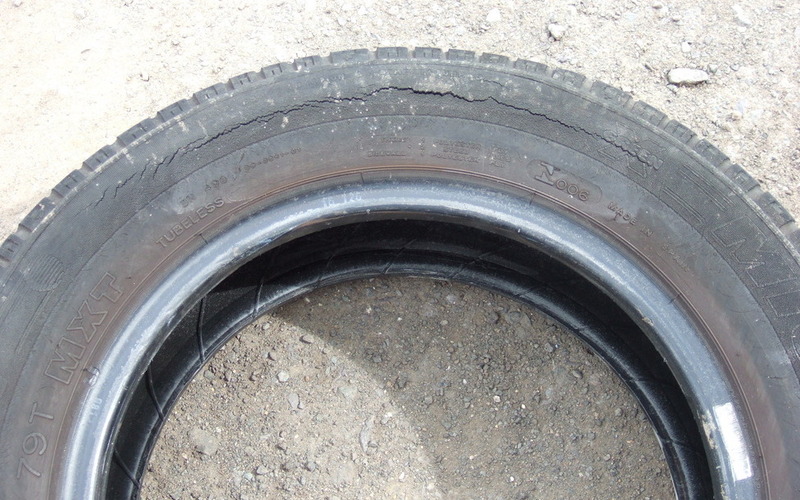 Unfortunately even a spare tyre might not be immune from the signs of old age. Ageing can be slowed down with various tyre treatments, but often products like tyre shine can just mask the problem. So don’t just rely on a quick check and tread depth, give your classic car tyres a regular inspection and make sure you have a look at the inner wall as well as the outer. ROSPA has created a useful tyre safety factsheet which provides some very good guidance and is worth a look. If your car is booked in to Wight Classics for a service, then we will provide you with a basic evaluation of your car’s safety including its tyres. So if you want to be sure give us a call today.